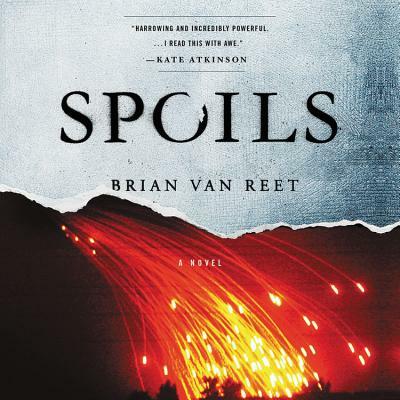 This highly charged debut transports readers to Fallujah during the Iraq War, where, with scalpel-like precision and extraordinary empathy for his characters, Van Reet casts an unflinching eye on the theater of war and on the blurred lines between good and bad, soldier and civilian, and victor and vanquished.Spoils depicts a few short weeks in the lives of three people involved in the war in drastically different ways. Cassandra, an American soldier, is captured from her artillery unit during a firefight and forced to endure a brutal captivity as a POW. Abu al-Hool is a fierce mujahideen, a veteran of the Soviet invasion of Afghanistan and Chechnya, whose power is being eroded by the next wave of super-radicalized jihadists (those brutal enough to behead their prisoners ... and circulate the video to the world). Finally, there is Sleed, a young soldier haunted by the knowledge that he was searching one of Saddam's palaces for a gold-toilet-seat souvenir as his fellow soldiers were ambushed.In dazzling prose Van Reet maps the vivid interior lives and traces the motivations and desires of these combatants on both sides of a war that is spinning increasingly out of control. The result is an unsparing and unforgettable novel that belongs alongside modern war classics such as The Yellow Birds, Redeployment, and The Things They Carried.